The fact that Blumhouse’s Truth or Dare uses the production company’s name in its billing is rather telling about its quality. While trying to remind the audience of its prior successes, such as Get Out, The Purge, and Paranormal Activity, Blumhouse instead reminds the audience that every rosy production company has its thorns. Truth or Dare relies on young adult slasher mores, but uses college kids instead of high school kids. Unfortunately, the film is littered with cliche, but no homage, and repetition without respect. Given that the screenplay was written by four people, Jeff Wadlow (the director), Michael Reisz, Jillian Jacobs, and Chris Roach, it’s possible that the quartet had difficulty collaboratively crafting a vision that no one has seen before. Instead, we are left with a production that whiffs of Scooby Doo and something that would’ve been posthumously slain by The Cabin in the Woods. The story starts off with a group of collegiate seniors gearing up to go on their last spring break together in Mexico. As expected, the exposition sets up the characters and lays the groundwork for what’s going to happen next. Olivia Barren (Lucy Hale), roughly representing the “virgin” archetype, is a vlogging philanthropist who seems to have the moral high ground. As her choices become more difficult as the film goes on, her moral positioning slips. Markie Cameron (Violett Beane) represents the “whore” archetype, who is struggling both with the aftermath of her father’s suicide, and her ability to stay true to her boyfriend. Tyson (Nolan Gerard Funk) plays the part of the “scholar”, a pre-med student who forges prescriptions. Ronnie (Sam Lerner) plays the part of the “fool”. The problem with Blumhouse’s Truth or Dare is not that it uses these stereotypes; it’s that it does nothing new with them. In The Cabin in the Woods, the archetypes worked because they were being satirized. In Truth or Dare, the archetypes were used in predictable, seen-before ways that weren’t particularly effective. 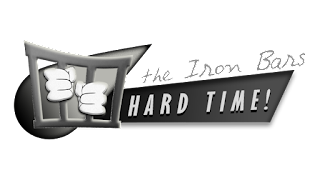 Aside from character development and interaction, the plot needed some work; perhaps that’s why four people had to work on it. The greatest problem with the plot is that it relied on a game. Game succeed because they have rules. Once the players understand the rules, the fun in operating within the rules comes to life. 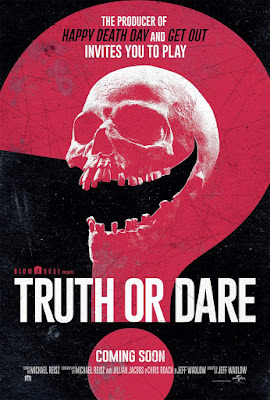 The problem with Truth or Dare, however, is that it changes the rules halfway through the movie. While it does allow the plot to move in a more jarring fashion, the audience feels cheated, and it sniffs a bit of deus ex machina. The ending might’ve been the straw that breaks the proverbial camel’s back, but it had been broken already by the tired genre cliches impotently performed.